Deuteronomy 24:1 says that if a wife “fails to please [a husband] because he finds something obnoxious about her… he writes her a bill of divorcement, hands it to her, and sends her away from his house.” And, indeed, even today the basic ritual act of a traditional Jewish divorce is for the husband to hand the wife a get, or bill of divorce. But the actual divorce is a little more complicated and may begin only after the couple has a civil divorce or has agreed to seek one. Then they arrange to appear before a beit din, or rabbinic court, which has expertise in the laws of Jewish divorce. A traditional divorce also requires two observant male witnesses as well as a sofer, or scribe, to actually write the get on a piece of parchment. (In America and elsewhere, the court may consist of a single rabbi who will then invite the two witnesses to join him to form an ad hoc beit din.) Usually the husband and wife will each bring along a friend or relative for emotional support. Because the full authority to write a traditional get rests with the husband, he must authorize the scribe to write it on his behalf. To ensure that the get refers specifically to the couple at hand, it includes the names of the parties, the city, the date, and the name of the nearest river. Once the get is written, the witnesses read and sign it. One of the rabbis then questions the participants. He ascertains that the scribe has written the get at the instruction of the husband; that the witnesses heard the husband ask the sofer to write the get; and that of their own free will the husband gave the get and the wife accepted it. The rabbi also gives anyone else present an opportunity to protest the divorce. 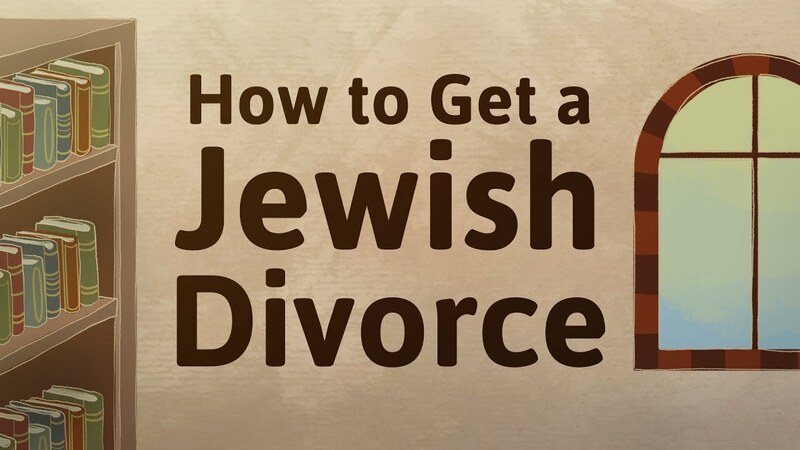 The wife holds her hands together, palms up, and the husband drops the get into her hands, making an oral declaration that she is divorced and “free to become the wife of any man.” She walks a few paces holding the get and hands it back to the rabbi. To ensure that the get is correct, the rabbi reads it again with the witnesses, who must identify both the get and the signatures. Then the rabbi tears the get’s four corners so it cannot be re-used, files it, and gives the husband and wife a shetar piturin, a document of release, freeing them to remarry. If the parties cannot or do not want to be present, they may appoint agent(s) to represent them before the beit din, but this is not the preferred approach. Both the Conservative and Orthodox movements require a get for remarriage. The Reform movement accepts a civil divorce as fully dissolving a marriage, although recently has seen increasing interest in some kind of religious divorce ceremony. The Reconstructionist movement offers three types of gets: a traditional one, one initiated by the wife, and one initiated mutually. The Jewish tradition has even developed an instrument called a conditional get–for situations in which a husband will be facing mortal danger and may never make it home. Before leaving on a dangerous journey or to fight a war, the husband can write a get that will take effect only if he does not return in a specified period of time. Such a get would save a woman from becoming an agunah (a woman without a get who could not remarry) because her husband was missing in action, with no witness to his death.